The Rufiji™ MaraTech™ Cargo Safari Trousers are a lightweight option for stylish travel, safari, and everyday convenience. Roll-up leg tabs give you the versatility of longs and capris in one garment. 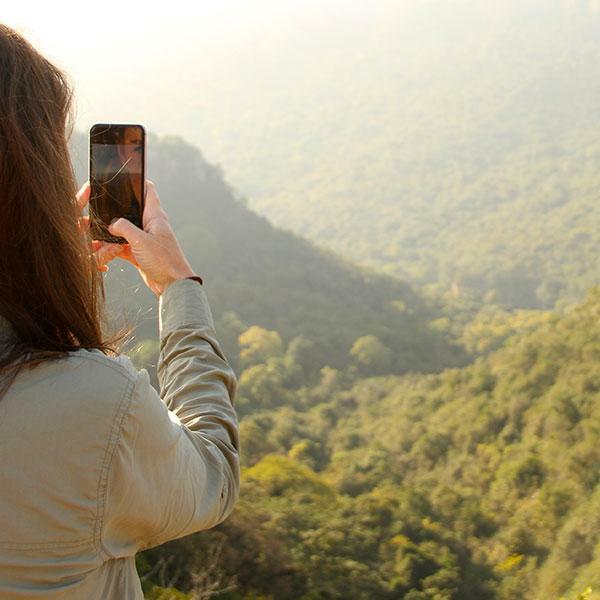 In an on-going effort to meet the requirements of our clients for travel, safari, and the outdoors, we listen very carefully to feedback from clients and tour operators. In tailoring our range around our experience, this helps our designs meet popular preferences for flexibility and convenience on your adventures. As many women would prefer to pack lightweight safari trousers and shorts or sKorts rather than zip-off trousers, these trousers allow you to diversify your wardrobe and suitcase. 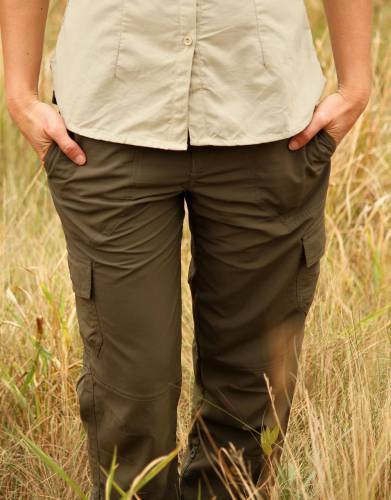 These safari cargo trousers are incredibly well-suited to safaris and the outdoors with the added flexibility of being able to convert them to capris by means of the roll-up leg tabs. 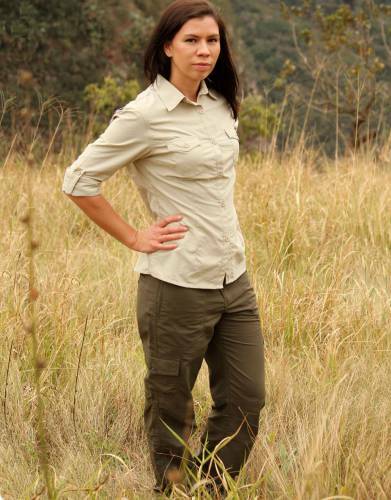 When packing for safari or adventure travels, packing the Rufiji™ MaraTech™ Cargo Safari Trousers together with the safari sKorts or shorts is advisable to ensure that you take a complete range of clothing for all conditions. These trousers are very strong, functional, stylish, and incredibly lightweight and so are easily packed without a second thought. MaraTech™ Ripstop fabric sets itself apart as being cool, lightweight, yet very strong. Its moisture wicking capabilities draw moisture away from the skin to keep you dry and comfortable in warmer climates and the built-in SPF offers maximum sun protection. The SilverPlus anti-bacterial technology keeps your trousers fresh between washes. It is also quick-drying and easily releases wrinkles, making it perfect for travel. To prove this point, the images of these trousers were taken using a pair of trousers that had just come out of one of our Rufiji™ travel bags. 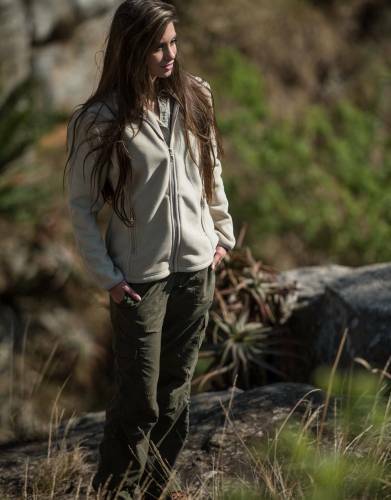 The Rufiji™ MaraTech™ Zip-Off Safari Trousers were built for outdoor and everyday comfort and convenience. The side elasticated waistband allows you to adjust the waist for the ideal fit without a belt. That said, the belt loops on these trousers can further contribute to their fit or simply be used to accessorise your trousers with your favourite belt. 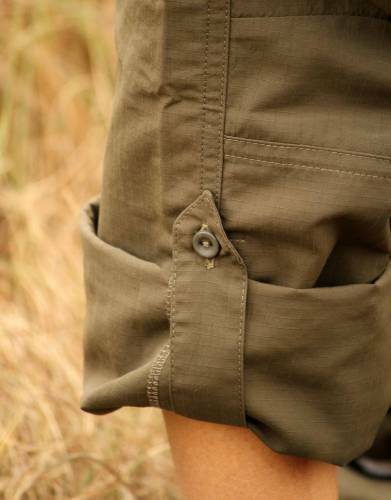 These cargo safari trousers have two cargo pockets, one button-up back pocket, and two hand pockets – ample space for you to keep smaller items on game drives, walks, and other outdoor and daily activities. 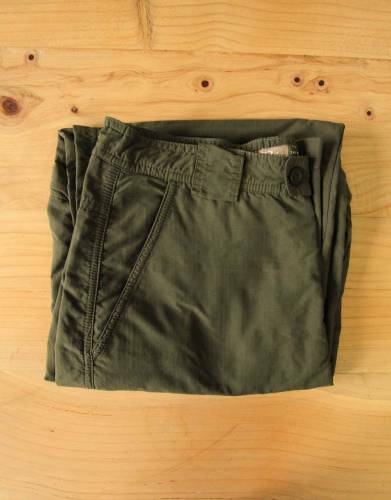 These trousers are immensely comfortable for active outdoor pursuits like hiking, climbing, and water sports. This is achieved through the features of the fabric, as well as the radial leg gusset which eliminates restriction and bunching and increases the range of movement. 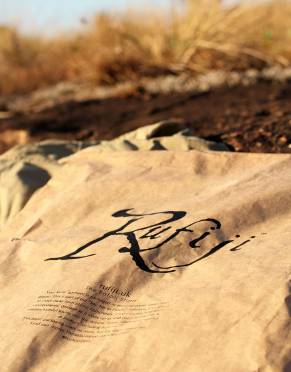 ⊙ MATERIAL: Made from 100% strong, lightweight Rufiji™ Ripstop MaraTech™ Polyamide fabric. Ripstop gives the fabric extra strength. Creases are quickly released after unpacking and the fabric is quick to dry for your convenience. ⊙ ROLL-UP LEG TABS: The legs of these trousers can be rolled up and secured by means of the roll-up leg tabs. This very simply converts your trousers into 22” capris as a stylish alternative to longs for safari, travel, outdoor, and everyday versatility. ⊙ RADIAL LEG GUSSET: This design makes for an increased range of movement and eliminates bunching and restriction, making them a great choice for active outdoor pursuits. ⊙ ADJUSTABLE WAIST: The waist is adjustable via a discreet elastic strip on the inside of the waistband. Accessorise your outfit and further adjust the fit by pairing your cargo trousers with a belt. 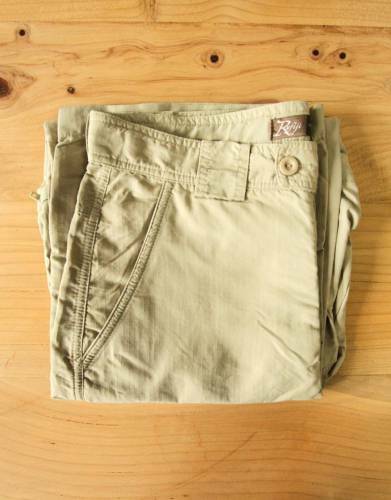 ⊙ POCKETS: Five multi-functional pockets including two cargo pockets, one button-up back pocket, and two hand pockets make these trousers a functional safari, travel, outdoor, and everyday choice and complement the overall look of the trousers. *Please do not assume your size. Always check the size guide. *We also recommend that you pack the Women's Safari sKorts. The shirt and pants I purchased arrived in beautiful packaging and when I tried them on I was delighted with how comfortable and light they felt and how attractive they looked.